This week, virtual reality has been all movers, shakers, and pant-wetting experiences. We'll elaborate on those in a moment, but on Wareable we've also been talking about the rise of VR storytelling, VR taking over Sundance, and the launch of Oculus Rooms, which wants to make social virtual reality slicker. Basically, a lot of VR beyond gaming. But what else has been going on in the world of virtual reality? Let's dive in. Facebook announced this week that it's hired former Xiaomi exec Hugo Barra to lead its virtual reality development. Barra also served as Google's VP of Android Product Management, so certainly he's a big industry name for Facebook to land. Barra will be VP of virtual reality, which will essentially be the role Oculus CEO Brendan Iribe stepped down from back in December. Mark Zuckerberg announced the new appointment on Facebook earlier this week. In response, Barra wrote: "I learned from Xiaomi CEO Lei Jun that there's no greater calling in our industry than taking breakthrough tech and making it available to the greatest number of people. Really looking forward to doing just that at Facebook — taking VR mainstream — working with you, Brendan, Mike Schroepfer, and the Oculus team!" Which only further begs the question: What of Palmer Luckey? In other hiring news this week, Google has bagged Claude Zellweger, who previously lead the HTC Vive design team, for Daydream VR. Of course, Facebook's news is being somewhat overshadowed by the ongoing case with Zenimax, which has accused Oculus of building the Rift with stolen technology. It's now gone to jury with a verdict to be reached next week, but Zenimax is now asking for a total of $4bn - $2bn in compensation, and the same in punitive damages - up from the initial $2bn. That would be a big blow to Facebook, and if Zenimax wins it could possibly seek an injunction on Rift sales, which would be greatly problematic for the VR industry. However, that may not happen; even if it does win this case, Zenimax may be happy with a big cash payout alone. The VR camera we've been waiting for? Shooting virtual reality videos isn't easy, but this compact camera might prove to be what VR filmers have been waiting for. Cnet reports that researchers at the University of California in San Diego have created what they call the PMast, a five-lens cube built for high-quality 360-degree video. Each lens is spherical and has a 25-megapixel sensor inside. The spherical design is made with fiber optics that help it to focus on an image, meaning the PMast, though compact, can attain the high standard of capture that VR filming really needs. We really like Google's Daydream platform but we'd like to see some more apps, which is why we're glad to hear Google is opening up its publishing system to all developers - not just a select few, as has been the case until now. Google sent an email out to developers explaining it was opening up the platform, although apps will still have to meet certain quality criteria, and work with the Daydream controller. In a running blog, Oculus is detailing the best way for users to position the sensors which track the headset and Touch controllers. Many people have been wondering, with the option to buy more sensors, how far the room-scale technology could be pushed, but Oculus recommends three as the optimal amount. "While your results may vary, using more than three sensors can create more technical and performance issues than it's worth. We recommend sticking with three." We're always talking about how we want bigger, more complete VR experiences, and Resident Evil has delivered. 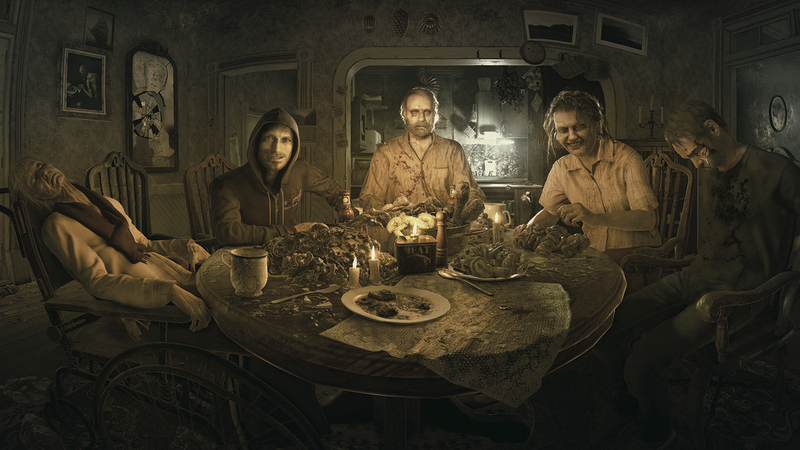 The seventh instalment in the main Resi series has been unleashed with PS VR support, so if you can handle the scares, there's no other game we can recommend more highly to try out this week. Capcom says that right now 9.6% of all players are doing in VR. Just whatever you do, don't look behind you. The Tate Modern is back with another 360-degree video to beam into your eyes. This one, made once again in partnership with VR content studio Happy Finish, is a piece on painter and graphic artist Robert Rauschenberg. Filmed in Florida, the video takes us into Rauschenberg's home and studio, while his words, taken from an interview, play over the top. It's a short but peaceful retreat.